This Sunday, the California African American Museum is showcasing the talents of a crew of amazing female artists. At the first-ever Queens of the New Age: Festival of Extraordinary Women, attendees of all ages can spend an afternoon enjoying DJ sets, educational workshops, poetry, visual art, and live performances by a mostly Los Angeles-based lineup of musicians. Queens of the New Age launched as a performance series in 2015 when a group of L.A. music scene insiders linked up to collaborate on a program highlighting women, and particularly women of color. 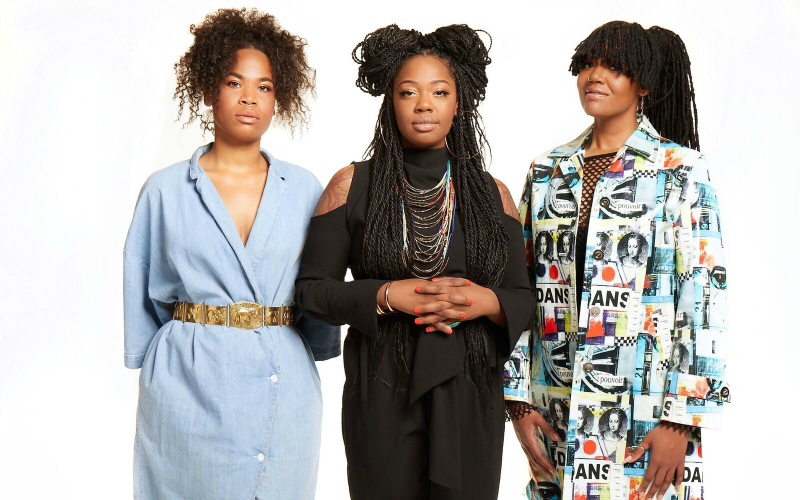 Grammy-lauded R&B group KING played the first Queens of the New Age show, and now they’ll return to headline the Festival of Extraordinary Women. The trio were among the last proteges of Prince, with whom they performed starting in 2011; last summer they shared the stage at the Hollywood Bowl with Solange and Blood Orange. In addition to the live music, the festival is a family-friendly afternoon with lots to explore around the Exposition Park museum campus. Girls Make Beats will be presenting hands-on DJ workshops and there will be a panel conversation about women in entertainment, offering a chance to learn about the experiences of several female artists and producers. Until 5 p.m., the museum’s galleries will also be open, allowing attendees to take in exhibitions highlighting photographer Nicole Miller, multimedia artist Shinique Smith, and the legacy of gospel music in L.A., among other displays. Queens of the New Age: Festival of Extraordinary Women takes place April 8 from noon to 8 p.m. at the California African American Museum, 600 State Drive, Exposition Park. Tickets to the festival are free, but advance registration is recommended.